If you have any questions or want to enquire about dates, use our form to contact Araminta Dallmeyer or see their website for more information. The best of both worlds: Highland remoteness (red kites, wild goats) and Inverness just four miles away. The landscape surrounding this elegant cottage exudes a sense of ancient mystery… woodpeckers, deer, glorious roses all round. Araminta is a delightful host and her home has a lovely family feel; bedrooms are old-fashioned and cosy; the drawing room is snug with stove and books. Gavin almost built the house single-handed, planting a glorious garden here, and many throughout Scotland – his special touch remains. Meander up through rowan trees to a view point, sit and enjoy the peace. Inverewe, Attadale and Cawdor – all on the doorstep. There couldn't be a better place to stay near Inverness. A really lovely hillside garden, in such an incredible setting on the Black Isle and great views to the south and west. What a wonderful backdrop to Araminta's very comfortable house and her great hospitality! The BEST B&B we visited in Scotland and Ireland on recent June, 2018 trip. Minty was superb - great help in planning day trips (we were there 4 nights) and the most kind and interesting host we had. Would definitely stay again, hands down. A home away from home. A hidden gem with a charming hostess. Had a wonderful three days on the Black Isle. Loved the rural feeling and yet an easy 15 minutes into Inverness. A very comfortable stay and loved reading at night in the sitting room. So comfy. Will recommend to any friends coming to the area. Just walking up to the front door we knew that we were going to enjoy our stay with MInty. The woodland garden is a joy - full of bird song, flowers and little paths. The house has great character, comfortable rooms and a lovely lounge to relax in. Minty has a fun and engaging personality and goes to great lengths to make her guests comfortable. She also cooks a mean breakfast! The area is very beautiful and worthy of a much longer stay. Our first visit to the Highlands was made really special by the welcome we received from Minty. The house is comfortable and cosy, the breakfasts were super and we learned a lot about where to go locally from Minty, including the best Sunday lunch we have had for quite a while at Sutor Creek in Cromarty. Minty was more than helpful as she tried to dry out my mobile phone which I had stupidly got extremely wet while walking around the Culloden battlefield. It didn't work, but not for want of trying. Thanks for everything Minty! This was our last stop in a tour of the Highlands and we found that we had saved the best to last. One could not fail to be bowled over by Minty, her infectious enthusiasm, her keen interest in everything we had done in our travels, and her fabulous breakfasts. We were so grateful to her for her suggestions about dolphin watching (and make sure you take her advice about the tide) and visiting Culloden. We really couldn't have felt more at home. We are now planning another tour of Scotland, if only so we can stay at Craigiewood again! Craigiewood is one of the nicest B & B's we have ever stayed in. Minty is a perfect hostess. Breakfasts are legendary together with entertaining conversation. She is a mine of information and Craigiewood is a truly 5 star destination - sufficient to say we are returning guests. 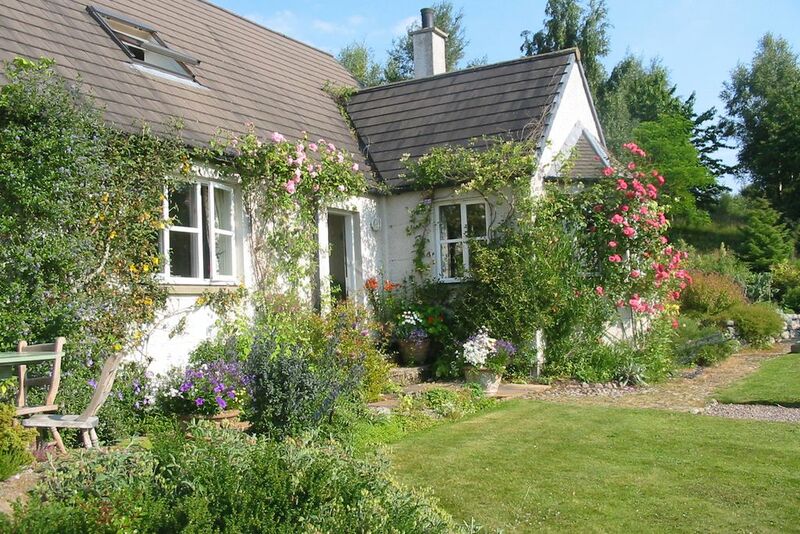 Whilst in the middle of the countryside, it is only ten minutes from Inverness and within striking distance of many tourist attractions and good eating out establishments. Wonderful B&B. Lovely comfortable bedrooms and lounge with everything you need and many extra little touches in a very beautiful and tranquil setting. Minty is an excellent host and cook and you are welcomed as a friend. Highly recommended. We stayed 2 nights with Minty and loved it! Her place is tastefully decorated and the beds are nice and firm. She is much closer to town than you think (about 10min from the highway) and yet it's perfectly quiet and in the country. She is a very welcoming host and instantly makes you feel at ease. She is by far the best host at the best B&B we have stayed at. when you come back at night Minty will confirm your preferred breakfast time and selection (if you're having a cooked breakfast). If you need suggestions on where to go or how to go someplace, she's great! Minty and Gavin gave us a warm welcome to their home. The guest lounge with fire was perfect for relaxing at the end of a long cold day. The local pub recommended for dinner is charming with good food. Our host's recommendations for a westerly drive were spot on. We would happily return if we are up that way again. Loch Ness - A “must see” for many - more interesting on the south side with the Falls of Foyers, associated with Robert Burns, a bonus. Dolphins - These exhilarating animals can be seen and heard, from the shores of the Moray Firth less than five miles from Craigiewood. Culloden Battlefield - The demise of the Stuart Kings is skilfully told in a “state of the art” exhibition here. Fort George - Built after Culloden, this is a magnificent example of Georgian military architecture with superb views of the Moray Firth area, is a rewarding experience. Cawdor Castle and Gardens - Inhabited from the fourteenth century until today, this castle and gardens have a rich social and political history and great beauty. Dunrobin Castle and Gardens - Spectacular fairy-tale castle and gardens with falconry and quirky Victorian museum in superb setting. Golf - Within a few miles fine golf courses abound, Dornoch, Nairn, Fortrose and Castle Stuart to name a few.